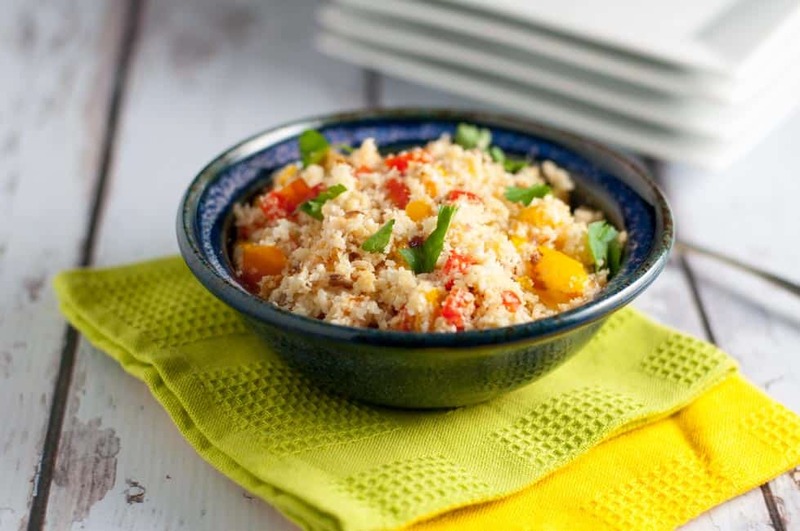 Follow these 3 easy steps to make cauliflower rice, a healthy low-carb alternative to rice. 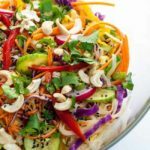 Paleo, Whole30, Low-Carb, Keto and Vegan! 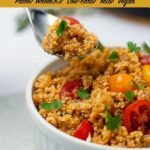 Spanish cauliflower rice, cilantro lime cauliflower rice, cauliflower rice with sautéed peppers and herbs–here are 3 easy steps to make cauliflower rice that you can season the way you like! 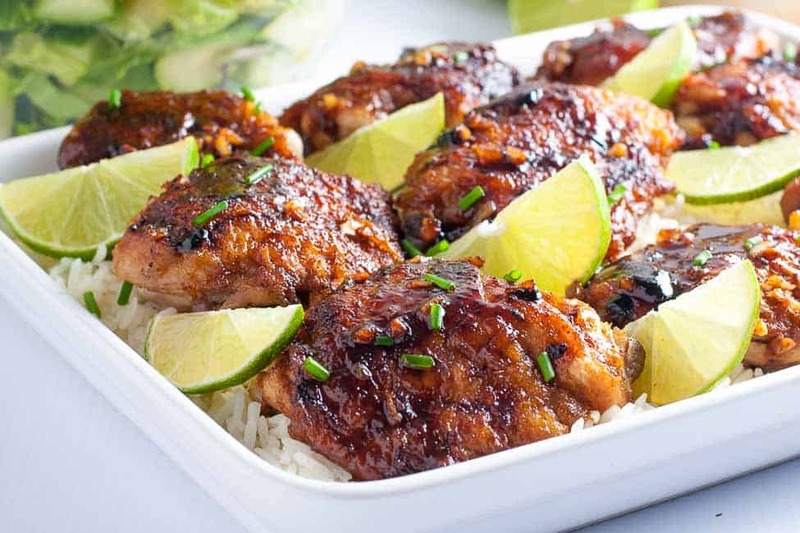 I love this rice alternative so much, I added another flavour choice to this recipe (originally published in 2016) and bumped it up so you can enjoy it, too! 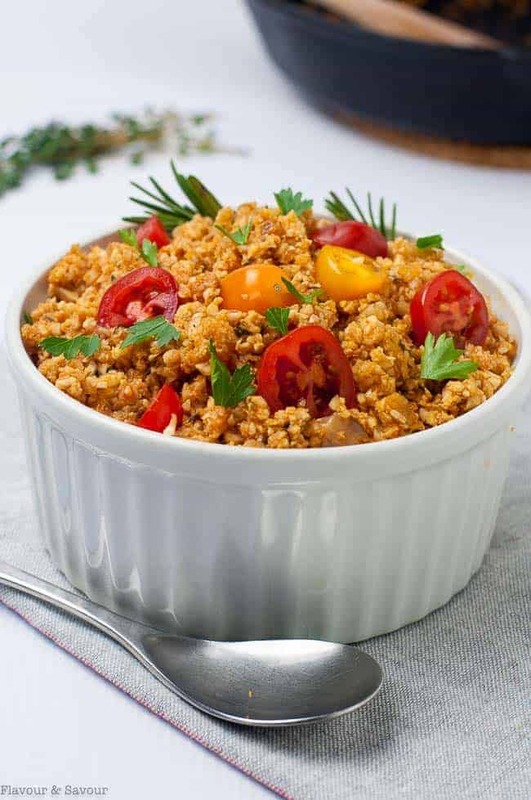 Cauliflower rice, cauliflower couscous–what you call it doesn’t really matter. It’s simply raw cauliflower finely chopped in a food processor, or grated by hand, until it has the consistency of rice or couscous. It takes only a few minutes to cook and you can combine it with a variety of herbs or vegetables to enhance the flavour. 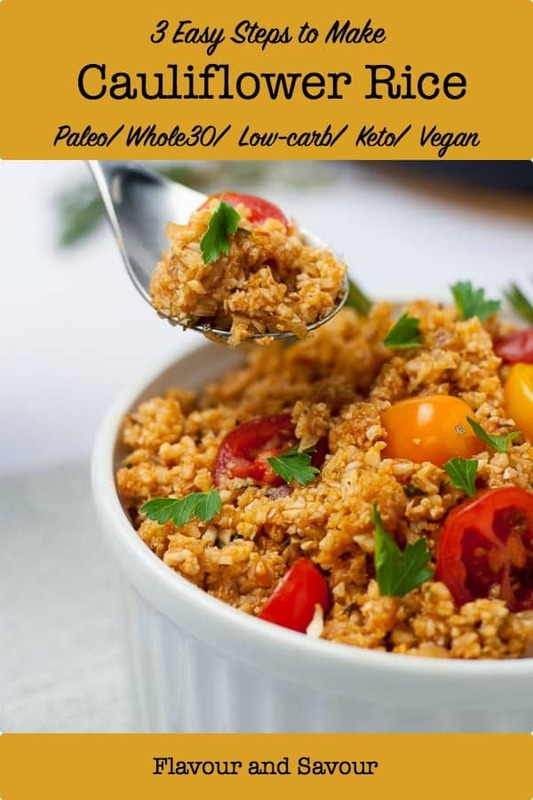 It provides a surprisingly delicious alternative to rice for those who are avoiding grains. 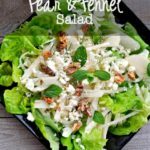 With only 25 calories per 100 grams (as compared to 140 calories for the same amount of rice) it’s a healthy low-carb alternative suitable for paleo diets. Not only that, but cauliflower is packed full of nutrients and is a particularly good source of Vitamin C.
And it’s fluffy! It’s not the soggy cauliflower your mom used to smother with cheese sauce to make it palatable. Simply add it to a skillet in which you’ve heated a tablespoon of oil, stir to coat, let it dry out a little, then cover and let it cook for 5 minutes or so or until it’s tender and no longer tastes raw. Season with sea salt (smoked salt is particularly good) and pepper and serve. Or try it with a squeeze of lime juice and some chopped cilantro. Or sauté some peppers and herbs in the skillet before adding the cauliflower. Delish! 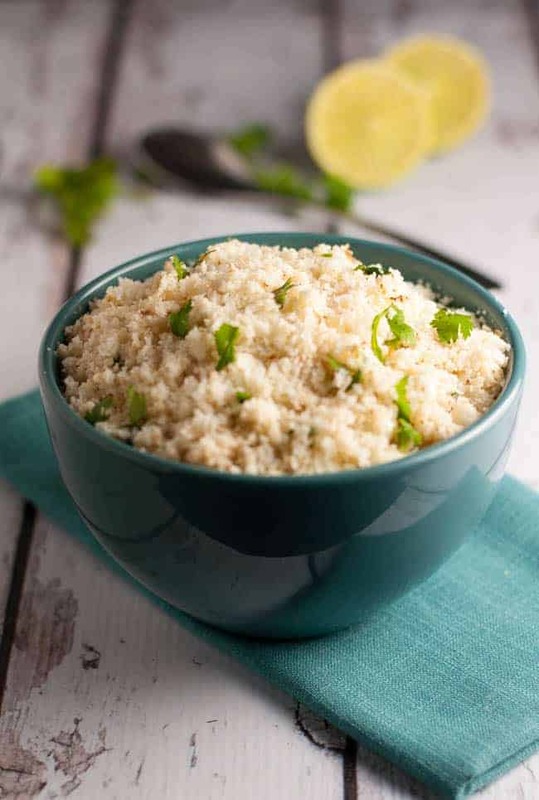 Once I discovered these 3 easy steps to make cauliflower rice, I served it with several of our favourite chicken dishes that I had previously served with Thai Coconut Rice. Replacing a high-carb with a low-carb is always fine by me, especially when it tastes as good as this! 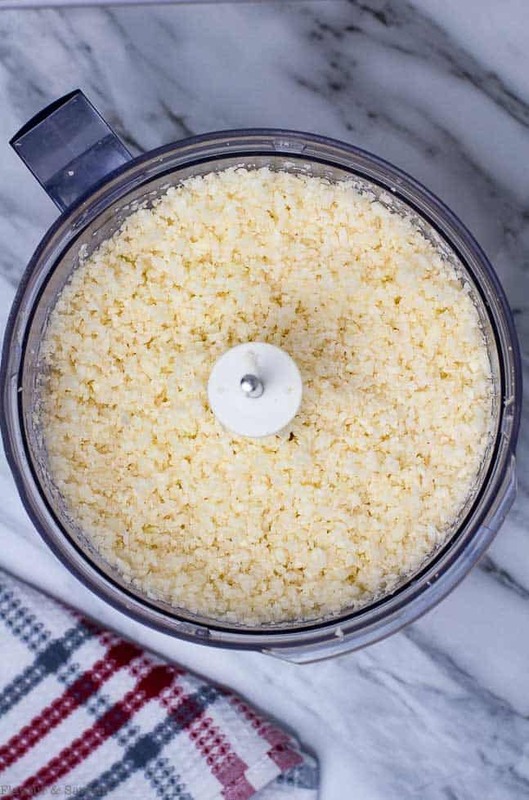 Cauliflower rice also freezes well. 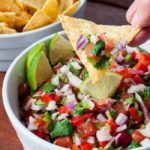 Just chop it finely in a food processor or grate it by hand, store it in an air-tight container and pop it in the freezer for one of those busy weeknight dinners. When I find cauliflower on sale, I buy a few heads, process it and freeze it in 2 cup portions. Have fun creating your own flavour combinations! 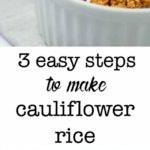 Make this healthy, low-carb alternative to rice by following these 3 easy steps to make cauliflower rice. Remove leaves and tough inner core from cauliflower with a sharp knife. 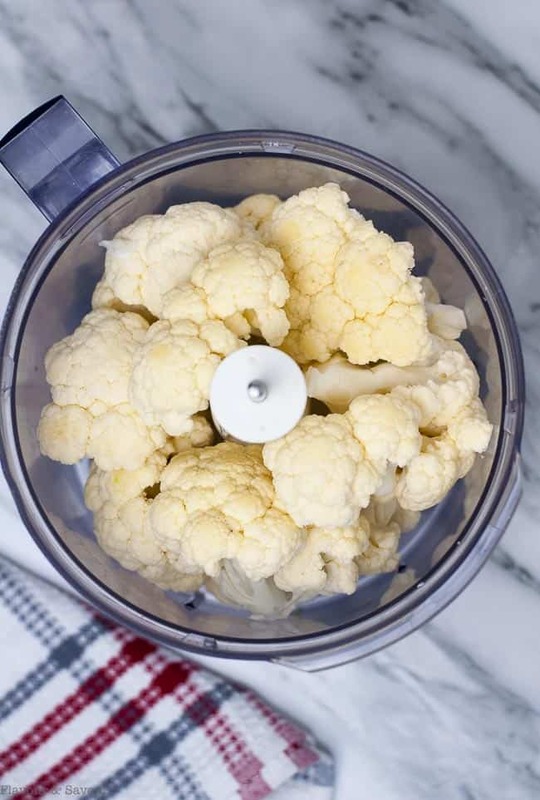 Roughly chop cauliflower into florets and place in food processor. Pulse until it has the consistency of rice or couscous. Heat oil in a skillet with a lid over medium heat. Add cauliflower, stir to coat with oil and release some of the moisture. Cover and cook for up to 5 minutes or until cauliflower is tender and no longer tastes raw. To make Cilantro Lime Cauliflower Rice: Add cilantro and lime juice and cook for a minute or two more without a lid. OR If using the bell peppers and onions , sauté these in the skillet first before adding the cauliflower. 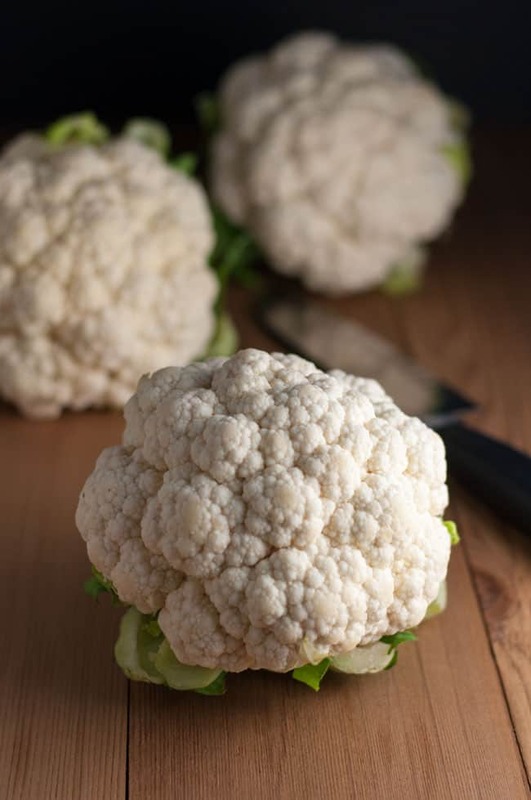 Cook until cauliflower is tender and no longer tastes raw. OR to make Spanish style, sauté 1 medium shallot in 1 tsp oil until transparent, add 1 clove minced garlic, 2 Tbsp. tomato paste, 2 Tbsp water (or just enough to thin the paste). Add cauliflower and cook over medium heat until liquid is absorbed and cauliflower is tender. Remove from heat. Add 2 Tbsp. 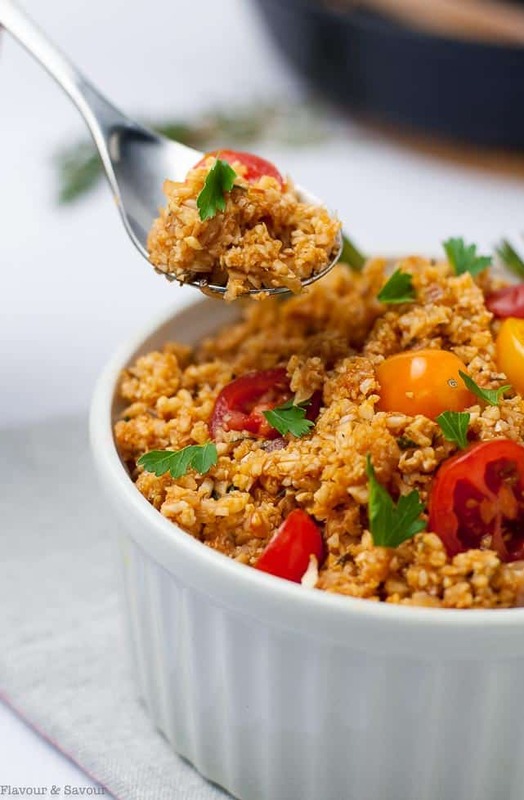 minced cilantro, 1 cup halved cherry tomatoes and serve immediately. 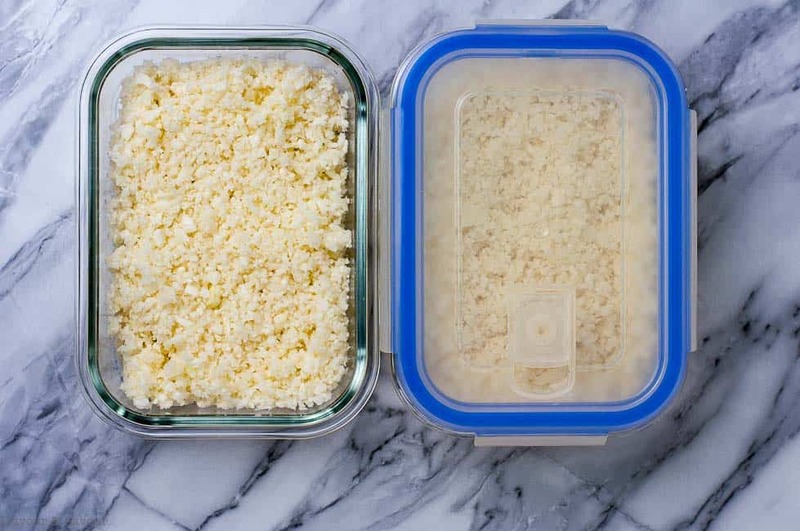 I don't recommend cooking this cauliflower rice in a microwave as it retains too much moisture and becomes soggy. 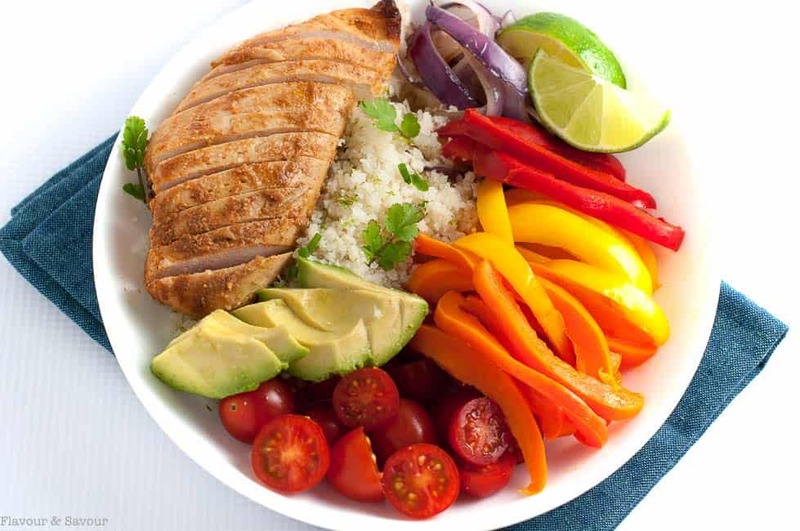 Hi can you premake this for a lunch, like make ahead? Would the cauliflower rice be good still? That’s a good question . . . but I’m not sure! I haven’t tried that yet myself, so I can’t answer your question completely. I freeze the raw “rice” and then cook it up just before serving, as it only takes about 5 minutes. Let me know if you try it yourself. I’m sure my readers would like to know too! I love cauliflower rice. I’m going to try your Spanish Style version as it sounds delicious. Thank you for the recipe! Thanks Jo! It’s my favourite! I have yet to try cauliflower rice but it has been on my list to try for so long! Thanks for sharing the easy steps Elaine. And I love the Spanish style rice option! Definitely saving this one for later. I avoided it for a long time, too. Now I make it all the time and store extra in the freezer. Hope you get a chance to make it soon. It’s just so easy! This sounds great and it is exactly what I needed to find. 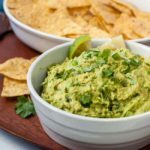 I am currently doing Keto and this would be the perfect carb free replacement for a side dish. Love the different variations. Thanks. Have a fantastic weekend Elaine! Thanks Redawna–same to you! Hope you get a chance to try one of these variations soon. Good luck with the Keto! 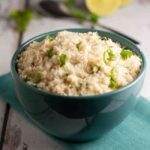 Oddly enough, I’ve never tried cauliflower rice! You make it look so easy and delicious, I’m going to give it a go! Thanks for the inspiration and the beautiful resource, Elaine! I’ve just pinned this recipe for reference. Hope you had a great weekend! Thanks Justine! I thought the whole idea was strange when I first heard of it a few years ago, but we really love it! So quick and easy.